In 1984, Rita Tua and her husband, Virgilio Bisiti, purchased around 40 acres of land in Tuscany and planted it to Cabernet Sauvignon and Merlot. By 1992 the winery released its first vintage and began receiving praise and accolades from wine enthusiasts worldwide for its rich, full-bodied wines. It Merlot quickly received cult status so much that the 2000 vintage went on to receive a 100 point score by acclaimed wine critic, Robert Parker. The silty, clay and mineral-rich soils in Suvereto are reflected in the wines themselves, which are known for showcasing hints of saltiness and unique iron qualities. 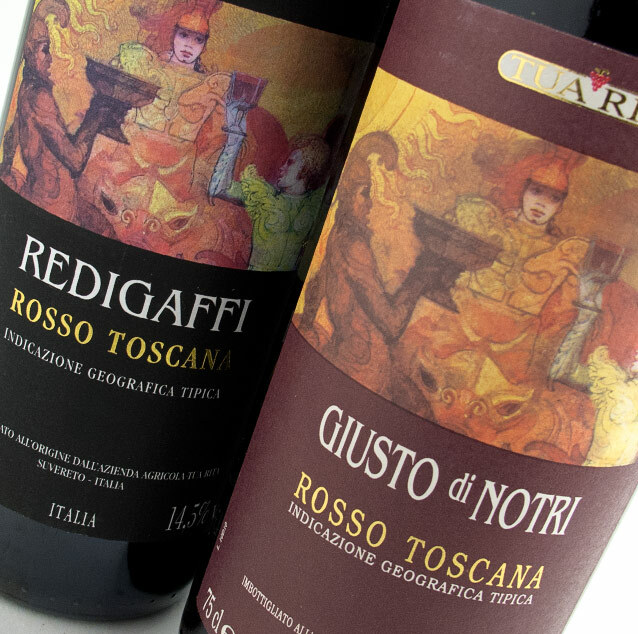 Along with their highly-praised Merlot, Redigaffi, Tue Rita releases an equally impressive Bordeaux Blend wine called Giustro di Notri, a varietal Syrah called Per Sempre and a varietal Sangiovese called Perlato del Bosco. Because most of the wines are so unique and highly-regarded, it is no surprise that Tua Rita wines are some of the most difficult to find in all of Italy.